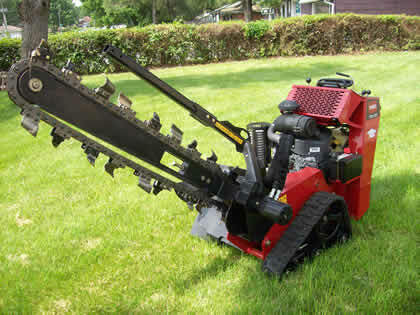 Our new Toro TRX-26 walk behind trencher is a great new addition to our rental inventory. It's the ideal, easy to use machine for burying electrical, plumbing, irrigation lines or french drains quickly and efficiently. It offers the most power in it's class,zero-turn maneuverability, a low center of gravity for stability on hills and the ability to cross-trench that is unmatched. 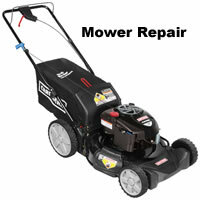 It's turf-friendly tracks are easy on lawns and provides excellent traction even in soft or wet conditions. Come in and see us for a demonstration today! We offer a wide range of tools, including construction, remodeling, plumbing, painting and moving equipment. Along with our well maintained, professional equipment we offer our customers knowledgeable advice that comes from years in the tool rental business. Serving the Kansas City area and the surrounding communities such as Grandview, Lee’s Summit, Belton, Raymore and Peculiar. Have you ever had the experience of having family or freinds over for BBQ and in the middle of cooking, you can't seem to keep the heat coming, only to find out that was because your propane tank ran out! 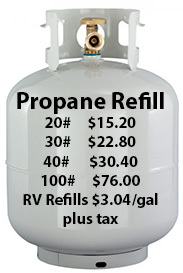 Come by and get a refill of propane for your summer BBQ, before you run out! We can solve that economically and easier than you exchanging your tank. We are quick in and out. South Kansas City Chainsaw Store! New chains, sharpening, blades, Fast & Freindly!